OK, so here Karla and I are, on Fat Tuesday, trying to get some pho in our lives. We originally headed for My Tho, but found out it’s closed Tuesdays and Wednesdays. Boo. 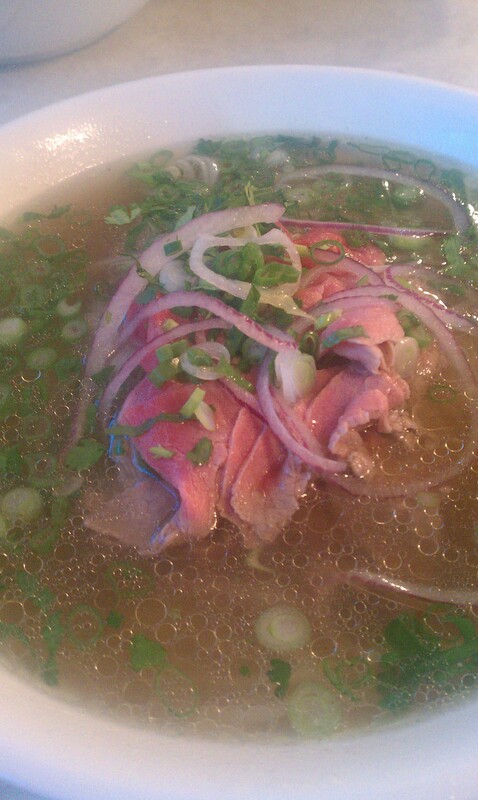 Then I remembered Pho Hien was on my list of “places to conquer” so we rerouted and headed there. A little warning, some places list the address as 1705 (which would make it a west side of Broadway destination – it isn’t) rather than 1750. And the sign at the street is hard to read. 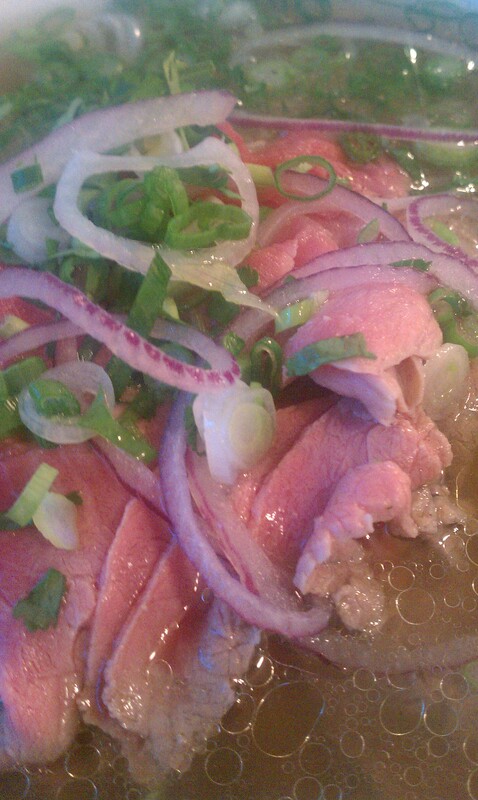 But once you get there, the place is clean, and the menu is simple: all pho. It’s somewhat disappointing to not be able to get an appetizer. But let’s be honest. With such a big bowl of soup to down, do you really NEED an appetizer? I guess that’s the debate. The soup itself was awesome. Karla and I both got rare steak. There are three bowl sizes, and we both got medium. It was more than enough. 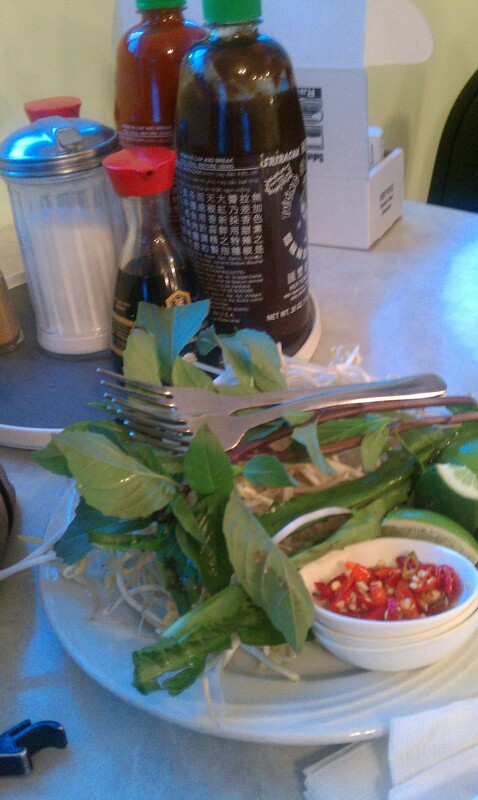 We both like to add sirachi to our pho, and I like to add jalapenos and basil. I also add a little soy sauce if it tastes like it needs a little salt. Overall, the soup was delicious, but nothing exciting since we both only did steak. I know most people will criticize our lack of branching out. But I don’t care. I love it. And I’ll go back. Again and again! The one thing about pho restaurants is I’m always weirded out feeling like the stuff on the plates is re-used by differnent patrons. In this case, I felt like it was all fresh. Win! Sorry if raw beef weirds you out. But I wanted those who haven’t tried the soup to see that it starts out rare, and the broth cooks the meat. It really does cook itself! 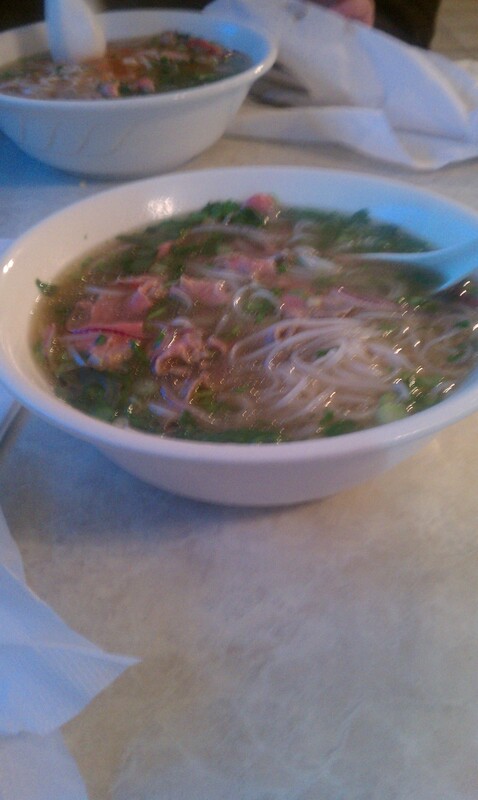 I’ve been to Pho Hot and To Chau. Both were awesome. And I need to hit My Tho ASAP. 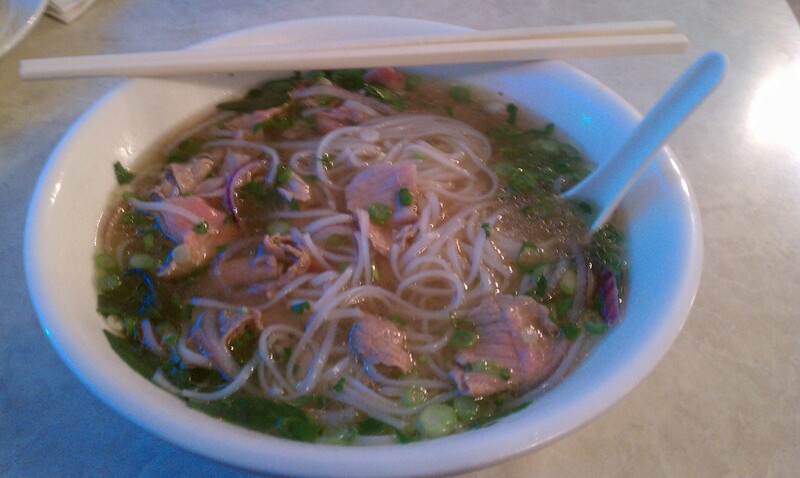 What’s your favorite spot to get pho?